Stone Cold Typo. | Do. Be. Interesting. Home Adventure Stone Cold Typo. 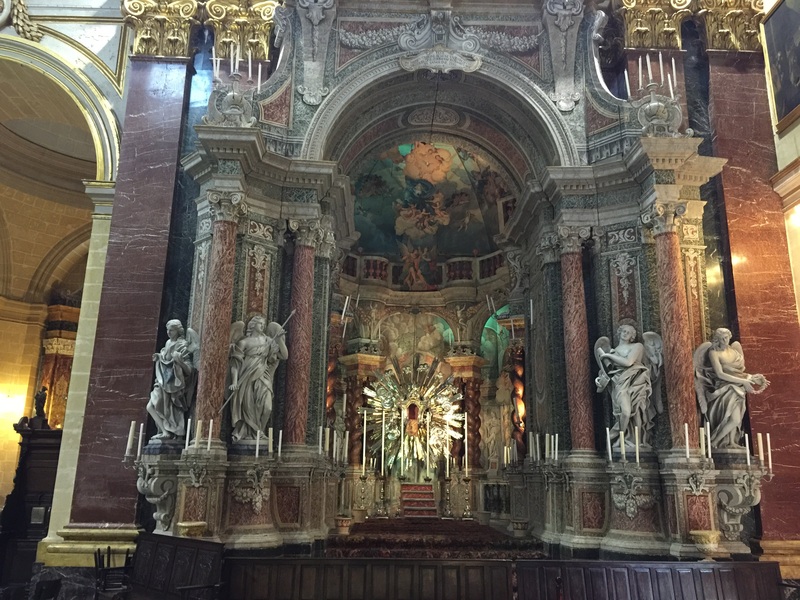 I went to see yet another church in Malta. 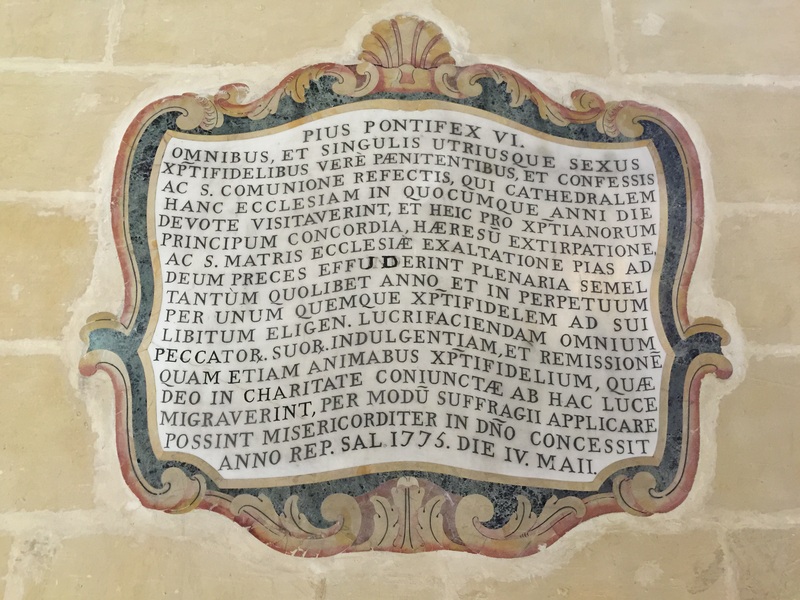 I think this one was in Mdina. 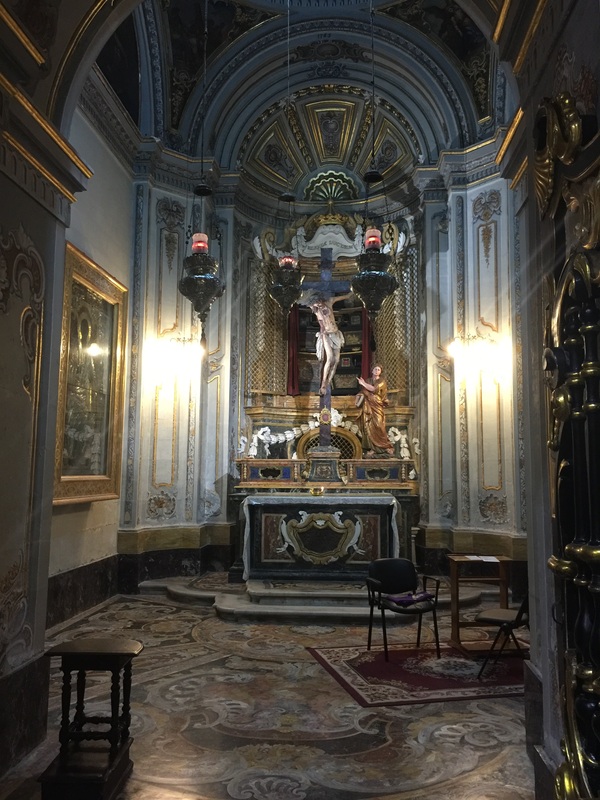 I spent most of my time there trying to read the Roman numeral dates on the tombs that were the floor of the place to see which one was the oldest. But then I came across this inscription carved in stone. I couldn’t help but notice there was a typo right in the center of the thing. Can you imagine the poor guy who spent months carving all of that detail? 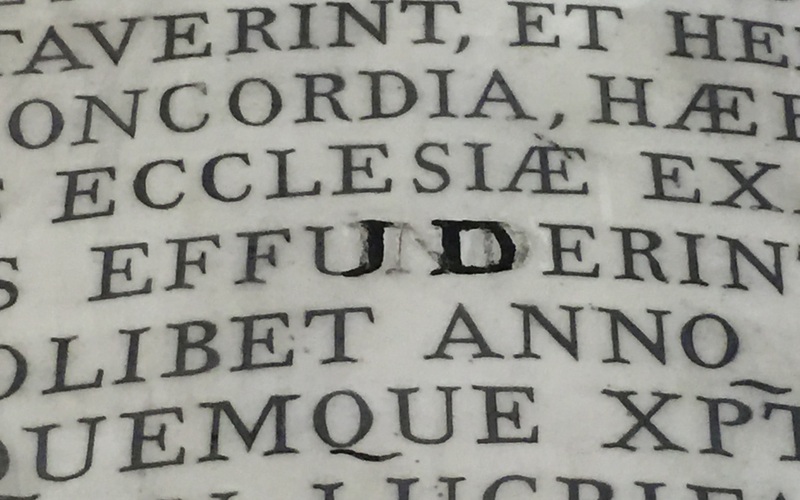 “Um… Josephus, dear, isn’t that supposed to read “EFFUDERINT”? Previous articleThe Grassy Hopper of Valletta.